[6 mins. 38 secs.] 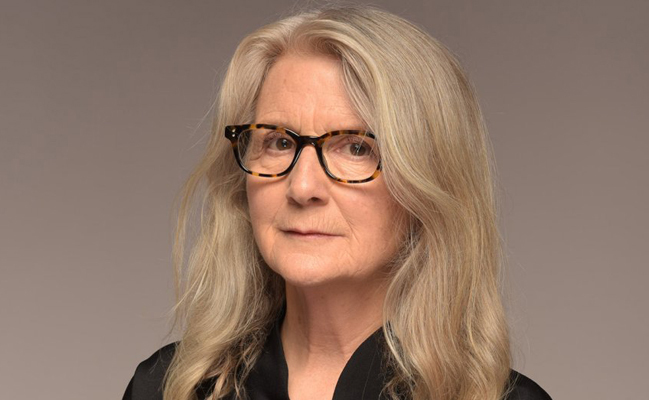 Filmmaker Sally Potter ("Orlando", "The Tango Lesson") makes her first appearance on Filmwax Radio correcting a long-standing problem with the podcast... the lack of Sally Potter. Check that one off the ol' bucket list. Sally has a new film which is currently in theaters called "The Party" starring an A-list ensemble of actors including Kristin Scott Thomas, Timothy Spall, Bruno Ganz, Patricia Clarkson, Cherry Jones, Cillian Murphy and Emily Mortimer. The comedy concerns Janet (Scott) who is hosting an intimate gathering of friends in her London home to celebrate her political ascension. After her acerbic best friend and others arrive, some with dramatic news to share, an announcement by Janet's husband (Spall) provokes a series of revelations. As the sophisticated soiree starts to unravel, a night that began with champagne soon ends up with arguments, shouting and a pointed gun. The film is screening at the Angelika Film Center New York & Landmark at 57 West, and at the Landmark in Los Angeles. [29 mins.] The Director of Film Programs at the Jewish Community Center (JCC) in New York City, Isaac Zablocki discusses the 10th annual ReelAbilities Film Festival which will run from March 8th through the 14th at the Center as well as various satellite locations in and around NYC. Please check the website for tickets and more details. The opening night film is called "Keep the Change" which premiered at the Tribeca Film Festival last spring.